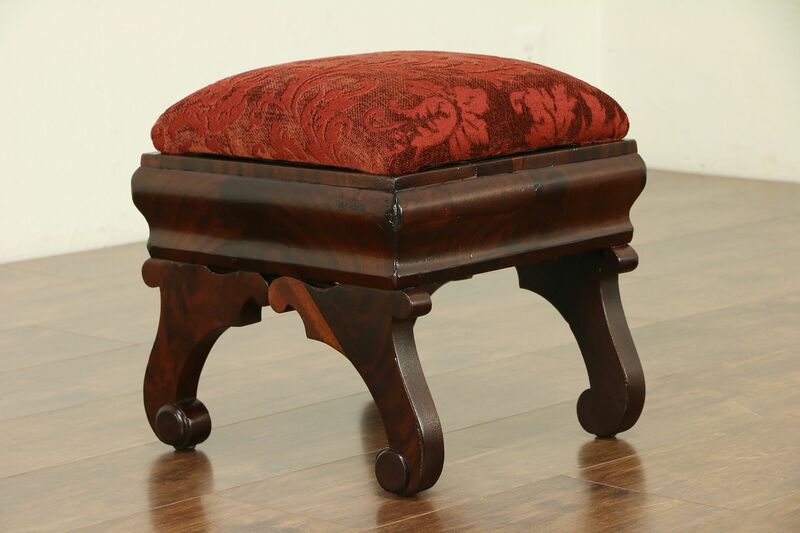 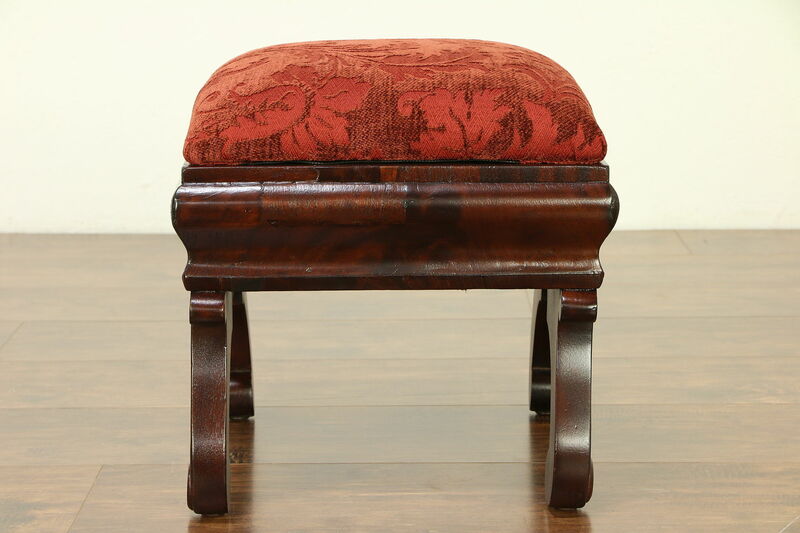 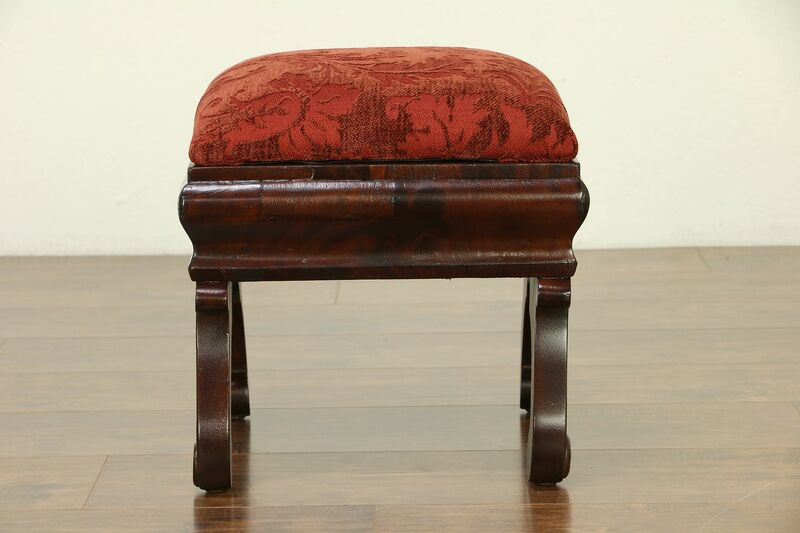 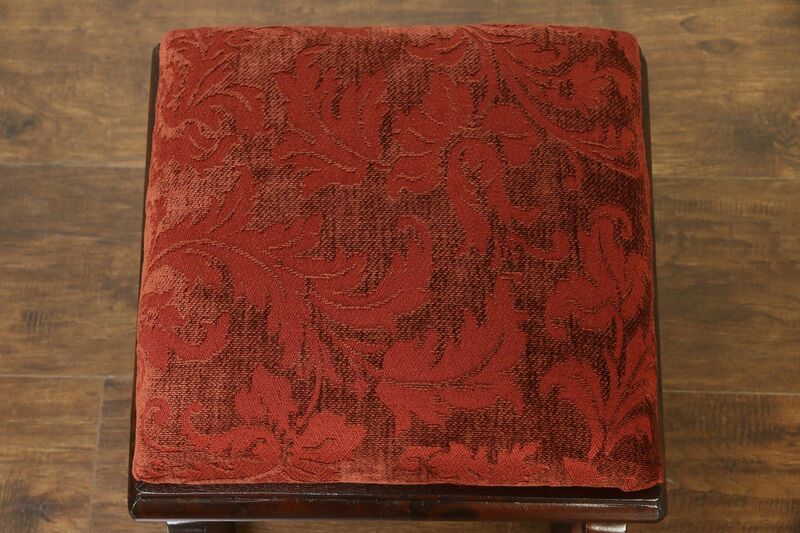 An Empire period mahogany footstool from about 1840 has been newly upholstered. 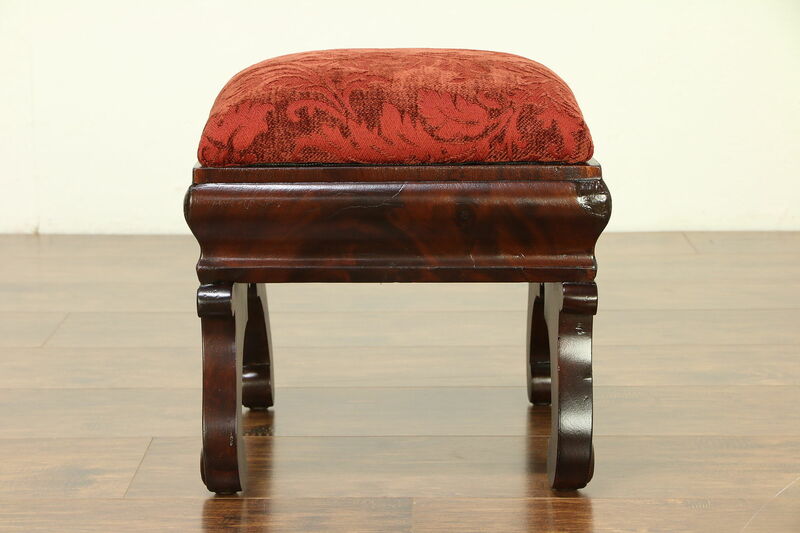 Matched flame grain mahogany has wear at the edges, see photos. 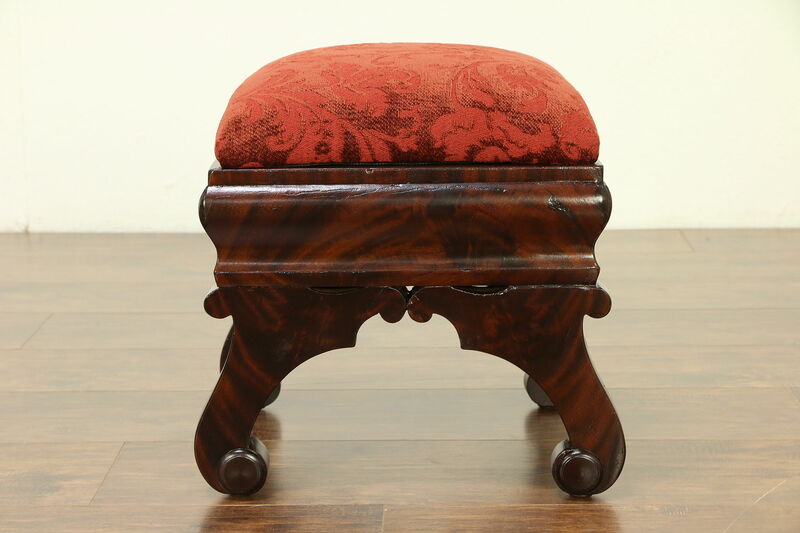 The restored finish is in excellent condition on this sturdy American made antique furniture. 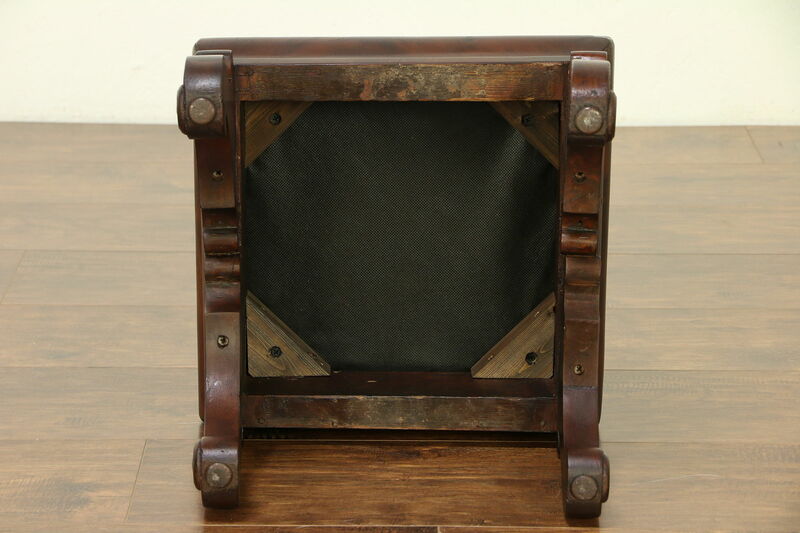 Size is 14" square and 14" tall. Shipping is $45 in the US.